Miley Cyrus, who seems to be back together with Liam Hemsworth (eee! ), and Elsa Pataky (aka Chris Hemsworth’s wife), just hit a MAJOR friendship milestone: These two ladies got matching tattoos! Miley and Elsa, along with two other friends, visited Australian tattoo artist Lauren Winzer to get inked. 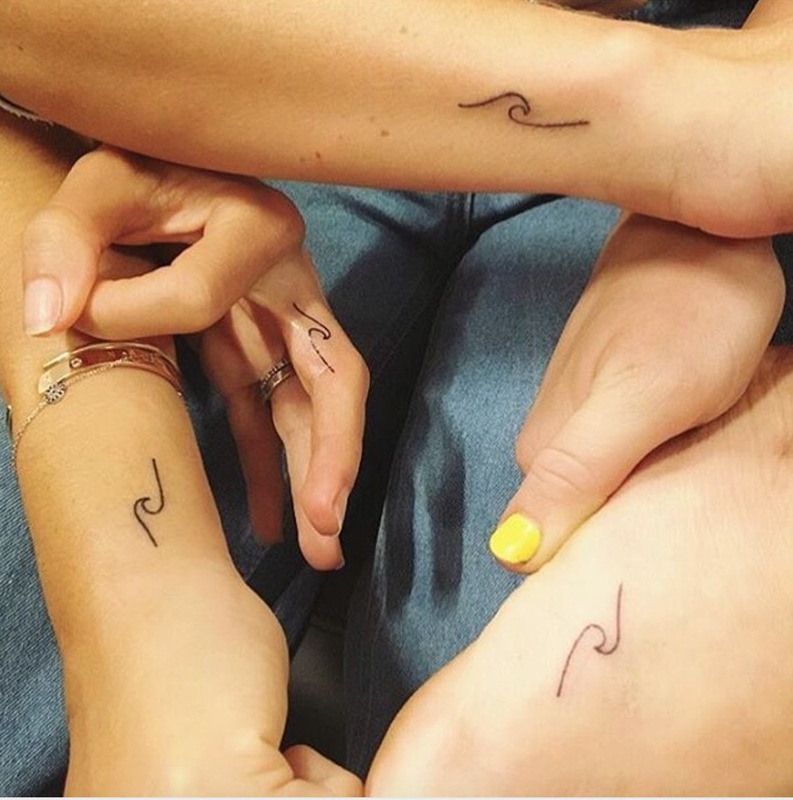 The foursome asked for a teensy tat in the shape of a simple, minimalist wave, drawn by pro surfer Kelly Slater, who is friendly with the crew. The tats are super cute in their own right, but we love that each girl picked a unique spot for her ink, making the experience special and personalized. It’s no surprise that Miley and Elsa were hanging out — she and Liam have been spotted together in Australia, where the Hemsworth brothers are from, a lot lately. You might remember that Miley and Liam also got coordinating tats when they got engaged (for the first time) in 2012. The two each got part of a Teddy Roosevelt quote. Liam’s reads, “If he fails, at least…fails while daring greatly,” leaving out the second “he.” Miley’s says, “So that his place shall never be with those cold and timid souls who knew neither victory nor defeat.” Sigh…how poetic. And don’t forget the other fresh ink Miley’s gotten recently — a planet with rings which Miley says is Jupiter, but many others are calling Saturn. We can’t help but wonder: If Miley and Liam eventually do tie the knot, will there be some post-wedding ink to celebrate? And, if so, what will it be?